At Pinnacle Home Improvements, our family run business has spent years broadening our range of environmentally friendly products that help save our customers some money and really make the look of your home exceptional. 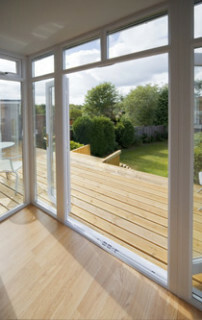 We now offer windows, doors, conservatories, driveways, porches, garage doors and roofs. 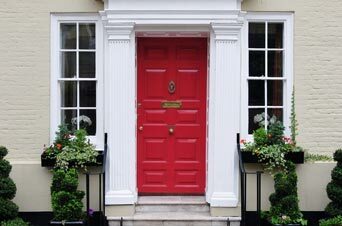 If it is a new door you are searching for, we provide different services, including door fitting and even door repair if you wish to keep your existing door and potentially reduce your costs. You may be looking for a new door to freshen up the look of your house or maybe you just fancy a change to suit your family. If you have a door that is damaged, maybe unexpectedly after a break-in or just from wear and tear, we offer our repair service to get your original door looking as good as new. Our top quality products combined with our friendly team trained to the highest standard will be able to advise you on the best solution for your home. 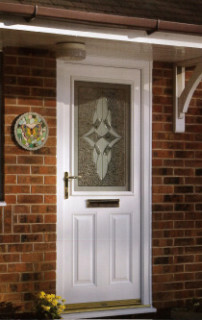 If it is a new door you are looking for, we have a large range in different colours, styles and materials. Whether you are changing your door for security reasons, for a new look, for energy efficiency reasons, due to damage or even adding a bi-fold to transform the appearance of your house, then we have a solution for you. Our products are the best of quality. 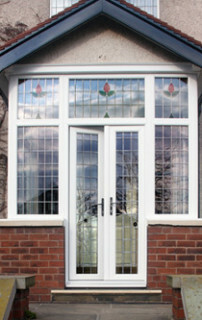 We offer different frame sizes, different finishes such as white and foil, internally glazed and multi-chambered, PVC standard thresholds, high security with two reverse hooks and 2 roller and deadbolts, easily adjustable hinges, high performance weatherseals, steel reinforcement, white locking handles and low-line glazing bead. Not only do we offer great quality, high security and optimum performance in our products. We are so confident in our doors that we offer £1000 money back guarantee if you have a break in and an insurance back guarantee. Our product not only looks after your safety, it also looks after your bank balance. Our doors have A-rated energy efficiency to reduce the heat loss from your home and save on your electricity bills, helping towards a more healthy environment. We have many years of experience in home improvements and over the years we have tailored our service around you, the customer. Initially we offer all potential customers a free, no obligation appointment with one of our home improvements specialists. 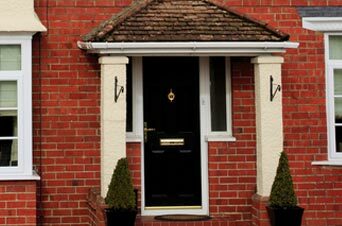 We will discuss whether you need door replacement or door repair initially then if you decide it is a new door that you desire we can discuss style, glass, colour, size, price range etc. 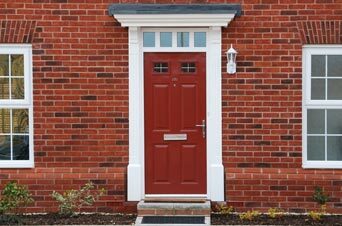 We will then fit your door for you; we have an expert door installation team who work according to our impeccable standards, keeping mess and disruption to a minimum and finish the job as fast as possible. We provide both domestic and commercial door fitting services whether you need new doors for your family home or your office space, we are more than qualified to provide a service tailored around you and your needs. If you are interested in a quote then please send us a message on our website, email us on sales@phi-uk.co.uk or give us a call on 01843449361.